Marketing gurus pushed email newsletters hard back in the days before social networking. If you believe everything you read online these days, you'd think that Facebook, Twitter, Google+, and other Web 2.0 services have left such vehicles in the virtual dust. Not so. Nor has the scourge of spam destroyed newsletters' effectiveness. Email marketing still achieves huge results--and pairing an effective email newsletter with a social media campaign can snag many more customers for your business than relying on social media alone. This survey conducted by Crowd Science reveals the effectiveness of email newsletters. Survey respondents named email newsletters and notifications as their third-favorite means of discovering what a merchant had to offer, behind a direct visit to a company’s website (in which case you’ve likely already earned the consumer’s loyalty) and print materials (which are considerably more expensive to produce and send). 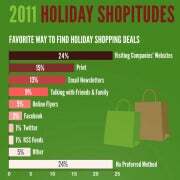 By contrast, Facebook was the favorite of just 3 percent of holiday shoppers surveyed; Twitter, a measly 1 percent. Logitech distributes a particularly effective newsletter to promote its Alert line of video-surveillance cameras.Email newsletter services don’t ignore the presence of social media; nearly all options on the market integrate email newsletter campaigns with your social media presence. Most offer social media monitoring tools, such as VerticalResponse’s Roost, which lets you manage your Facebook, Twitter, and LinkedIn campaigns from a single tool. You can try to put together your own email newsletters with CMS (content management system) plug-ins or within customer-management packages such as Goldmine. The problem with doing it yourself, however, is that you are not an email newsletter specialist. You don't have automatic handling in place to tell you whether a recipient wants the email in plain text or HTML, and failure to send it in the right format means that many of your recipients could end up trying to read a garbled mess, in which case they’ll likely hit the Delete key or--worse--the unsubscribe link. 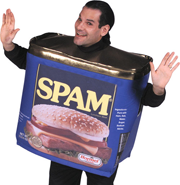 Spam filters can render your email marketing efforts useless.You will also need to run your email list through an email validator on occasion to confirm that the addresses are correct. You may even risk mass evacuation from your email list by sending duplicate or even triplicate messages. Each mail-out comes with a thousand potential pitfalls, and hiring a professional service allows you to sidestep all of them and just concentrate on your content and promotions. But the best reason to outsource email newsletters to a professional company is to circumvent spam filters. No matter how carefully you craft your message, an email newsletter will inevitably set off the majority of spam filters, even if you've created the most useful content ever. Engaging in email marketing is pointless if nobody is reading your message. Ready to consult an email newsletter service provider? Constant Contact is one of the biggest, providing more than half a million customers an array of products, including event marketing, online surveys, and social campaigns. The email newsletter service, however, remains the core of its business. Constant Contact offers a 60-day free trial for companies with mailing lists of up to 100 addresses. Competitor VerticalResponse offers a similar basket of services, including a free trial. MailChimp, meanwhile, is another major player in this market, although email handling is the only service it offers. Whereas each of the companies mentioned above serves the small and medium-size business market, iContact tailors its email marketing services to the needs of large enterprises and advertising agencies. The company’s iContact Plus suite of products offers integration with Salesforce, special consideration for large-volume mailings, and other premium services.